The murder of Saudi activist and journalist Jamal Khashoggi is no longer in doubt. Saudi Crown Prince Mohammed bin Salman has publicly made a statement referring to his ‘heinous death’. The problem is that the ‘heinous’ crime appears to have taken place inside the Saudi consulate in Istanbul two weeks ago. International criticism of Khashoggi’s killing has been swift, reflecting negatively on the Saudi state replete with all its measures seeking to stifle dissidence. Khashoggi was a columnist for Washington Post. As such, his criticism of Saudi social immobilism was strongly felt throughout the kingdom. The fact that the evil act was perpetrated inside a diplomatic mission in Turkey invited a host country response. 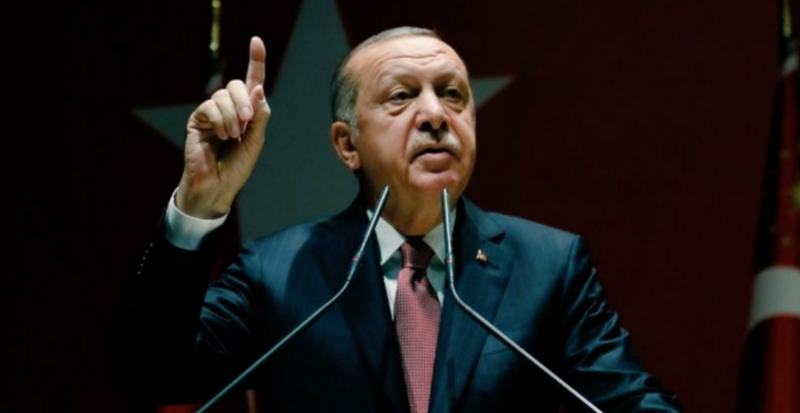 Ironically, Turkish President Tayyip Erdogan’s own practice of muzzling journalists in Turkey actually worked to the advantage of Turkish authorities in this affair. Erdogan’s control of Turkish media created an institutional response. First, the Turks were able to control the international news cycle and squeeze every bit of publicity out of it. For two weeks, it seemed that the Turkish state was letting drip one news item after another related to the Khashoggi killing. The Turks asked for and obtained access to the Saudi diplomatic mission in Istanbul to search for crime clues and, perhaps, even Khashoggi’s body. In the meantime, pressure from the international community mounted, absorbing even the Saudis’ American allies in the White House. The Khashoggi affair also took international focus off of Turkey’s own poor treatment of dissident journalists. Turkey tops the world in jailed journalists, so the Khashoggi death and the media circus that followed make eminent sense to those seeking to distract from Turkey’s own treatment of journalists. The Khashoggi affair has played a role in articulating Turkish foreign policy and bilateral relations with some key countries. The ability to control the media message coming out of Turkey has been essential, and it allows us to get some penetrating glimpses of Turkish regional and foreign policy objectives. By the sheer nature and diplomatic setting of the dastardly crime, one would expect that bilateral relations between Turkey and Saudi Arabia have been severely impacted by Khashoggi’s demise. Relations have always been somewhat rocky between Riyadh and Ankara, two of the three largest Sunni states in the Middle East. Historically, the Saudis supported the Arab revolt against the Ottomans during World War I. To the Saudis, the Turkish ruling party’s efforts to extend Turkish influence in the Middle East smack of neo-Ottomanism. The Saudis are also conscious that Erdogan is a close friend of Qatar and the Muslim Brotherhood, both arch-enemies of the Saudi royal family. Moreover, as it emerges from its Kemalist secular legacy, Turkey has become a mouth-piece for conservative Islam, like the Muslim Brotherhood, accompanied by a form of neo-Ottoman republicanism. 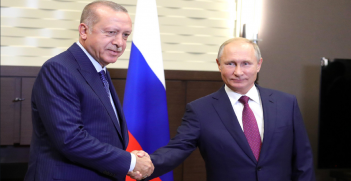 Although they are both Sunni regional powers, Ankara does not share the number one foreign policy objective of Riyadh, which is in fierce opposition to Iran and its regional proxies like Hezbollah in Syria and Lebanon and the Houthi tribes in Yemen. On a personal level, Turkish President Erdogan has always enjoyed better relations with the geriatric Saudi leadership rather than the younger upstart, Prince bin Salman. The generational gap is real and helps explain Erdogan’s closer relations with Qatar. Recent economic worries underscored for Turkey the importance of having at least one solid ally in the Arabian Gulf. Both Turkey and Saudi Arabia oppose the Bashar al-Assad regime in Damascus, although the Turks appear to have put some water in their wine when it comes to dealing with the Iranian leadership on the future of Syria. These factors have all combined to create distance between Riyadh and Ankara, explaining Erdogan’s interest in prolonging the news cycle of the Khashoggi affair. If Turkish and Saudi foreign policy objectives are like two ships passing in the night, Saudi relations with the new Trump Administration in Washington had never been better until the Khashoggi affair occurred. Despite calls in Congress for sanctions against the Saudis, the White House has bathed in the glow of lucrative arms deals and high-level contacts with mysterious webs of oil financers. Now with John Bolton as the National Security Advisor, US opposition to Iran is priority number one. In contrast, Turkey’s top foreign policy objective is to marginalise the Kurds and eliminate their forces from Eastern Turkey. As such, Turkey has chosen to deal with Iran. Iran is part of the Gang of Three – Russia, Turkey and Iran – and its role in Syria is crucial. 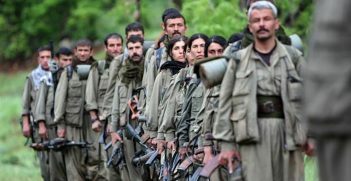 Iranian support for containing the Kurdish militants along the Turkish border is in part a response to Turkish anger at US support and arming of the People’s Protection Units (YPG), a Kurdish militia in Syria. 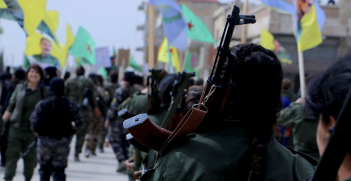 Iran’s presence in the Gang of Three gives Turkey a counterweight to US support for the YPG Kurds in Syria. How has the Khashoggi affair affected relations between Washington and Ankara? Relations were already strained. Factor include: the continued exile in the US of Fethullah Gulen, whom Turkey accuses of having played a role in the coup d’état in July 2016; the imprisonment of a US preacher by Turkish authorities raising the spectre of religious persecution; the memory of the Armenian genocide; and Trump’s denigration of the North Atlantic Treaty Organization (NATO). Since Turkish foreign policy has always been based on its special link between the West and the Middle East and Asia, the NATO card is of key strategic value to the Turks, and Trump’s scathing attacks on NATO have undervalued this Turkish asset. For the Turks, Khashoggi’s murder has been a godsend, shifting focus away from its own poor treatment of journalists and allowing it to take the offensive, formulating irksome demands on an embattled Saudi regime. One can only imagine the Turkish state-controlled media if and when they discover Khashoggi’s body. In the meantime, the US Congress spends its energy arguing with itself and the Saudis over what might constitute a fair and even-handed response to Khashoggi’s murder. Dr Bruce Mabley is the director of the Mackenzie-Papineau Group think tank based in Montreal devoted to analysis of international politics. He is a former Canadian diplomat and is decorated by the French Republic as Chevalier des Palmes Académiques.